Recorded live at the Moses Mabhida Stadium in Dec 2015. The release on 3CD and 2DVD captures both the enormity of the space in which it was recorded, the magnificence of the performers, as well as the fever pitch excitement shared among the capacity audience. Joyous Celebration 20 has all the makings of a monumental recording captured for all to experience over and over again. The release of Joyous Celebration 20 signifies a national event as much as it is aligned with a spiritual one. Known equally for their innovative approach to doing things differently, and for filling up venues to capacity, both in South Africa and beyond our boarders. 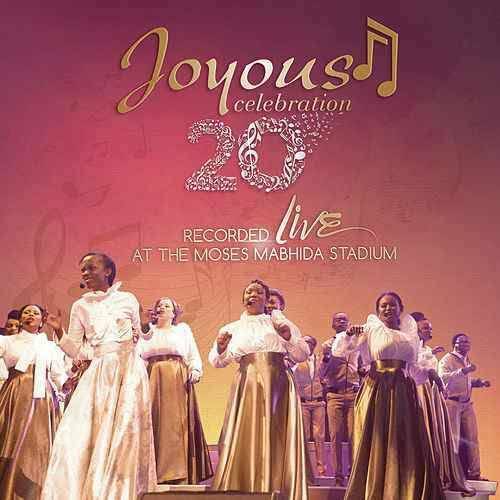 Joyous Celebration approached the decision to record at Moses Mabhida Stadium as a new phenomenon that takes the live recording experience to a much grander scale. The fans did not disappoint on the day of the recording, they came from all over the continent as well as overseas. From the stage one could see posters and banners declaring the presence of many fans from different countries such Mozambique, Ghana, Tanzania and others.